We’re using virtual permits. What does that mean? How will Parking Services know that you have a permit? Enforcement now confirms compliance with the license plate, not the hanging permit. The license plate is scanned and must be in the system linked to a permit or a daily pass. If not, a ticket is issued. Simply ensure that your vehicle information is correct and up to date in your parking account, and remember to update it should your vehicle information change. If you have a rental or loaner vehicle through a dealership or repair shop, do not add it to your account. Contact Parking Services 250-807-8554 / okanagan.parking@ubc.ca with your license plate and vehicle description. Up to 5 vehicles can be added to your parking account. If adding the vehicle of a friend or family member, make sure to check for tickets before you add a plate. Any ticket(s) that a vehicle already has, or receives, will be on your account and become your responsibility. Don’t get stuck with the tickets of a friend or family member! I didn’t purchase my permit in time. Now they are sold out. Why? We have 2,800 parking spaces on campus. On an average week day 9,000 people visit campus. It is frustrating for many that we are limited to a fixed number of parking spaces on campus. However, adding parking lots to accommodate everyone is not a sustainable solution. If enough people used alternative transportation even a few times a week, our campus would benefit from fewer cars and fewer parking problems. Our environment would be better off too. Whenever possible, please consider using alternative transportation to get to campus. I don’t have a permit. Where can I park? Park in H, M or W lot and purchase a day pass from our Pay Stations or HonkMobile. At the Pay Station, you can pay with coins or Visa or MasterCard. The cost is $6 to $8 for the whole day or $4 to $6 for 3 hours. M lot has full day as well as short term (10 minutes – 2 hours) available. Full day parking is also available for purchase in lots B, G and J starting at 12pm and lots E and F at 1pm. Short term parking (maximum 2 hours) is available at the single space visitor coin meters at EME Metered Parking and UNC Metered Parking. Share your commute by carpooling. Find out more about carpooling at carpool.ca . U-PASS (Universal Transportation Pass) is available to all UBC students and provides unlimited access to the Kelowna Regional Transit Bus System. U-PASS is available through the Students’ Union. To dispute a ticket online, login to your parking account using your CWL username and password. If you are a guest on campus and do not have a CWL login, create a guest account to file your dispute. You may hand deliver or mail a written dispute to Parking Services. Hand delivered and mailed disputes must be received before the 14th day of the date on the traffic notice. Your dispute must contain your return address, e-mail address, a copy of the Traffic Notice and written detail of your rational for disputing the alleged violation. Your submission will be reviewed by an appointed Hearing Officer. The Hearing Officer will advise you by e-mail of the outcome of your dispute. Your dispute resolution will also contain instructions on how to appeal the Hearing Officer’s ruling should you so wish. What do my parking fees pay for? Parking Services operates as a self-funded department and does not receive any portion of tuition monies or government funding. The largest portion derived from revenues is turned over to the University as general operating revenue, which helps pay for academic and non-academic expenses. Maintenance of lots: Lots are continuously in need of maintenance including line painting, paving, repairing potholes, sweeping and garbage removal, snow removal, landscaping and security patrols. Signage: As requirements change, new needs are identified, and vandalism occurs, signage must be added, repaired or replaced. Equipment: Your fees also provide the proper equipment for managing parking space. Pay Stations, meters, lighting, service vehicles and storage facilities are just some examples of equipment required to operate. Repairs and maintenance of this equipment are also necessary due to routine use and vandalism. Sustainable Alternatives: We are aware that limited parking on campus is an issue for many people and work together with the community to make better and more sustainable alternatives available. Parking Services subsidizes the U-Pass, currently at $100,000 per year. Parking Services Okanagan is a member of Carpool.ca , and pays membership dues making it easier for students, staff and faculty to meet others interested in carpooling to campus. Wages: No business can operate successfully without a great team in place to handle operations. Management, office staff, enforcement officers and technicians are essential to providing parking facilities and services on campus. I’m just visiting for the day. Where should I park? Short term parking is available at EME Metered Parking, UNC Metered Parking and M lot. Meters accept coins only and are available for up to two hours. $1.50 buys one hour of parking. From September 1st thru April 30th, day pass Pay Stations are only available in H Lot (economy lot), M Lot (next to the Gymnasium) and W Lot (behind the Mountain Weather Office) before 12pm. Short term and daily parking is also available in lots B, G and J after 12pm, and in lots E and F after 1pm. Pay Stations accept coins, Visa or MasterCard. Permits cost $6 to $8 for the whole day or $4 to $6 for 3 hours. I have a valid permit. During holidays, reading break and exam periods, can I park in another lot other than my designated permit lot? No, but on weekdays after 4:30pm and all day weekends you can park in any lot other than M or R lot. Can I park overnight on campus? 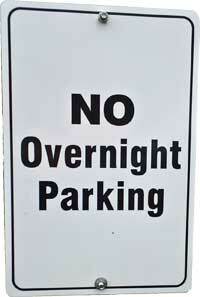 No overnight parking is allowed on campus, unless you live in residence – then parking is available in R lot only. By exception, if you are conducting UBC business and require your vehicle to be parked on campus overnight – contact Parking Services for authorization. Can I return my permit for a refund? Yes, semester permits are refundable for the unused portion of a permit. Permits are prorated. Bring yourself, picture ID and the method of payment used to purchase the permit, to the Parking Services office for a refund. Permits are not refunded in the last two weeks of any semester. A staff parking permit paid for on a monthly payroll deduction can be cancelled effective the 15th of any month or on the last day of any month. Bring yourself and picture ID to the Parking Services office, in order for the payroll deduction cancellation form to be processed. Alternatively, an online form is available for Payroll Deduction, Exchange or Cancellation (sign in with your Novell account). I have multiple vehicles registered to my permit, how many can park on campus? While you can have up to 5 vehicles on your parking account linked to your permit, only one (1) vehicle can be parked on campus at any given time. If an additional vehicle is parked on campus, it must pay for parking separately, either at a parking meter, Pay Station, or through Honk.